I watch ‘Travel and Living’ channel and suddenly I am writing this post. The show is called ‘LA Ink’ which tells story of a tattoo shop in LA. It includes the stories behind every tattoo made and personal stories are definitely there. In one scene, there was a young woman who wanted to have a perfect tattoo of downtown LA on her arm. After a long time of perfecting her work, the tattoo maker finally let this young woman check on the mirror. She was so pleased by that art work on her arm. The details were so real: windows, wires, traffic. She loved it so much, enough to make her cry! I am thinking to myself, ‘Is that tattoo really a reason why she cry? Just because of a tattoo?’ But then I realize, it’s not about the tattoo, it’s the personal meaning of the tattoo. The reasons why we cry is varied. 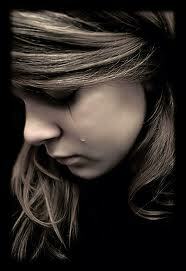 We cry when we feel sad, we cry whenn we are happy and we also cry when we feel touched. Whatever the reason behind the cry, we know that reason bears its personal meaning for us. I might not feel touched by the tattoo of downtown LA. But I might be touched when I see my old photographs with family and friends. I might not feel sad when I watch drama, but I might cry on the phone when I listen to my best friend who is crying on the other side. So, embrace the moments when you can cry for any personal reasons. You’re blessed more than those people who can’t cry any longer, because they choose to do so. What’s your reason of crying, Cecille?? It varies … From a silly thing – like watching family drama and suddenly I miss my parents, to a big event – breaking up, betrayed or getting in fights.